Smash already has so many characters, and I haven't really used Mewtwo much since I bought him, but I'm still looking forward to it for sure. I hope we get lots more Smash news at E3. We still haven't heard anything about the Miiverse Stage or Tourneys/Tournaments since that Smash Wii U Direct back in October or whenever. EDIT: Oh, the OP mentions the Miiverse stage being included in the Lucas update. Awesome!!! Miiverse stage arrives with Lucas next Sunday. Yessssss. I hope he's good and not so-so like Mewtwo, 'cause I plan to main him so hard. I kinda figured they were going to just announce his availability right after their e3 show, but this is even better! Cool, but I'm more excited about the Miiverse stage finally dropping. And where are our tournament options? I'm eager to play as Lucas once again. He's my favorite character in Brawl right after Toon Link, so he'll likely take some screen time away from my favorite characters in this game like Shulk and Wii Fit Trainer. 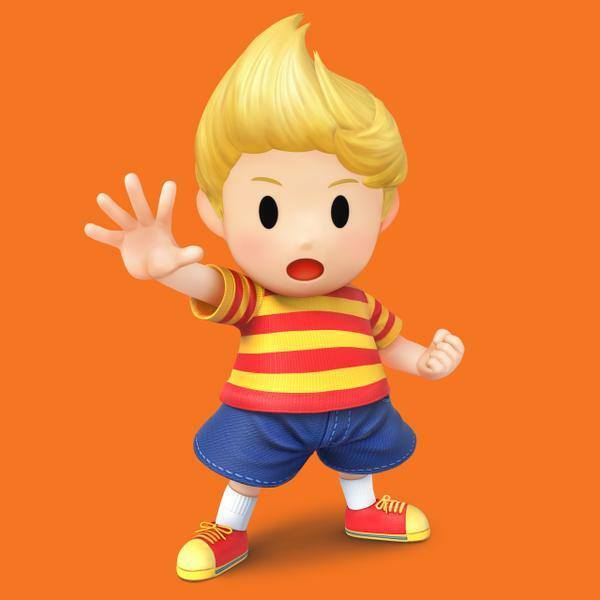 I'm also looking forward to the day when the Lucas amiibo goes on sale! Very excited for both the stage and the char. Smash 4 is absolutely already one of my fave games of all time, I can't get enough of it. I still feel the need to play 1v1 daily. Smash is utterly amazing but it's funny how much of a "regular game" it feels like after Splatoon. Splatoon feels incredibly immersive and advanced control wise and going back to more traditional simple input feels funny. Sorry to be off topic but Splatoon has really captured my heart. I'd love an Inkling for Smash now. I don't even think it's too soon for it anymore. So if they're getting Lucas out of the way now I hope to get a big reveal during E3 like the Ryu rumor we've heard so much of. That'd be a great get for Nintendo and the series. I can't say I care for this character and didn't really like his moves in Brawl, so I won't be buying. $4.99 is too much, maybe at 99 cents I would have. The only way I would is if they release a discount bundle for characters. The new stage should be good though. I won't be buying this either, because I also don't care for the character or his moves. It will be fun crushing Lucas-users online with Mewtwo, though. Bring it on, baby! We can both battle the character we don't care for in a psychic throwdown. Is it $4.99 for just the character, or $4.99 for the character + the new stage?! Either way seems pricey next to Mario Kart DLC. I'd guess Lucas is $4.99 since Mewtwo was. That said, I'm about 90% sure the Miiverse stage is free. That IS a problem...I do still play the 3DS version, but only when away from home. And in those instances, I rarely have internet access! I think the stage is free right? I mean they promised it to us long ago. Man, $5 bucks? I'm sorry Lucas, but I just don't like you that much. I might wait and see if they offer some bundle when other characters come out.